Agent Tommy Chin died after contracting Beta-hemolytic streptococcus, (necrotizing fasciitis) Group A, also known as the flesh eating bacteria. He contracted the disease while taking custody of 151 illegal Chinese refugees on an isolated island off of the coast of Washington state. 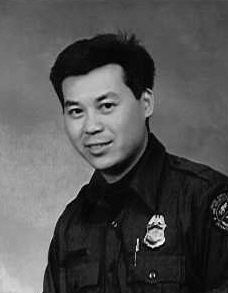 Agent Chin had been employed with the United States Department of Justice – Immigration and Naturalization Service for 11 years. He is survived by his wife and child.